It seems Pangasinan 4th District Representative Christopher “Toff” de Venecia is channeling his inner Elsa! The politiko is missing wearing winter clothes during his recent trip to New York. 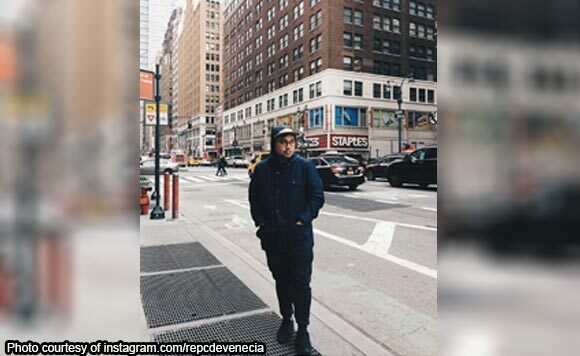 De Venecia posted a picture of himself wearing a blue jacket in the foreign city. “Missing the cold,” he captioned his post. Well, who can blame him when the Philippine temperature is crazy hot?